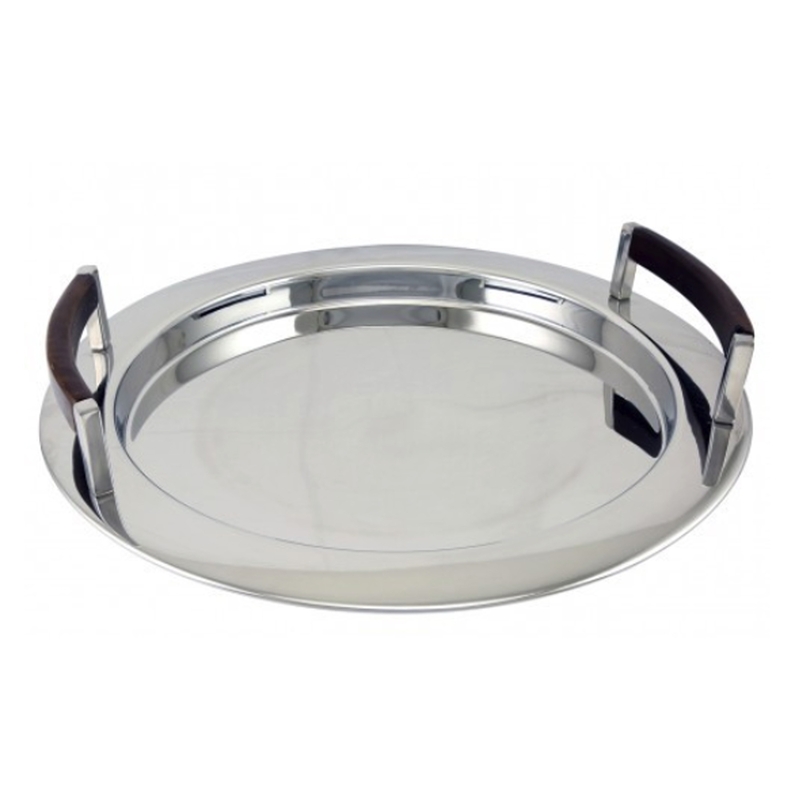 Add a modern touch to your Dining Room accessories with this beautiful Stainless Steel Serving Tray. Complete with a shiny exterior and wooden handles this amazing serving tray would bring a classy feel to your home. Crafted from the highest quality materials this serving tray will not fail to impress anyone in your home.